This is part of a much larger project currently being undertaken by Leigh Electrical on a new build housing development in Chelmsford, Essex. 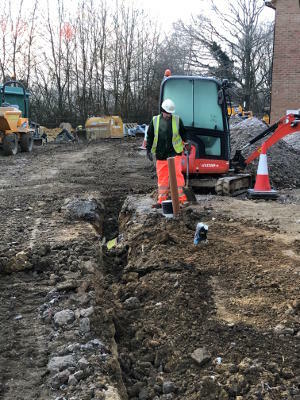 The images above and below show the laying of an underground armored cable on a new build housing development. Leigh Electrical are perfectly qualified to carry out large scale commercial electrical work such as this. Leigh Electrical hold full NICEIC membership, which is often considered to be the most stringent and highest standard of electrical accreditation within the UK. 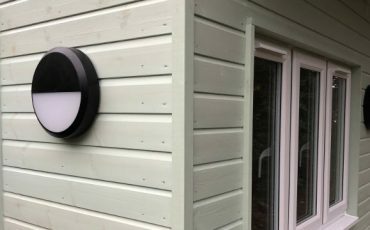 With over 50 years experience in carrying out large scale electrical works for a host of national companies and building contractors, Leigh Electrical are perfectly positioned to assisit with any commercial electrical work and have significant experience in the development of new build properties such as these. 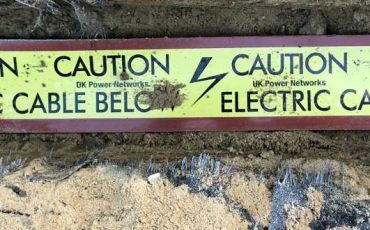 Our electricians operate in and around Chelmsford and the wider South East region, 7 days a week. 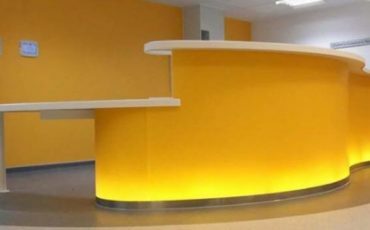 We can come and provide free written quotes for all commercial electrician works at short notice and can submit detailed plans for the electrical aspect of your upcoming projects. 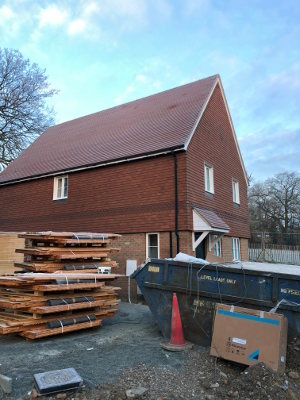 Please view our projects page here to see a selection of our previous works completed in Chelmsford, Southend and across Essex. To speak to one of our team, please call us directly on 01702 873350 or submit a contact form below. New build underground cable laying. For all commercial electrical enquiries please call us on 01702 873350.